From the signal flags in the bathroom to the rowboat beached on the breakfast bar, this nautical one-bedroom, one-bath condo will have you singing sea shanties! Don’t worry, the master bedroom is outfitted with a spacious king-sized bed, instead of the traditional sailor’s hammock. The master bathroom has a jetted tub and an enormous walk-in shower to rinse off in after a long day at the beach. Don’t forget the personal washer and dryer; no one likes sandy towels! The spacious kitchen and living area is dominated by a rich red leather sectional, perfect for lounging and watching the goings-on in our well-manicured courtyard and pool deck. Beachside Colony is located on the beach, right in the middle of Tybee Island, a spot that puts it one mile from the pier, the hub of the island’s nightlife, and one mile from the Tybee Light Station, one of only 7 colonial-era lighthouses still in use in America. The resort boasts 3 pools, the largest of which is heated throughout the autumn and winter, and Marlin Monroe’s, an on-site restaurant and bar acclaimed for its oyster roasts and live entertainment. Everything was great about the place, the location, the pool, the drinks from the bar. Whatever they cleaned the floors with kept the floors wet, dirty, and slimy the entire three days we were there. We came for a one night stay on Friday 4/6/18 for the end of our childrens Spring Break, and our almost 2 year olds first trip to the beach. 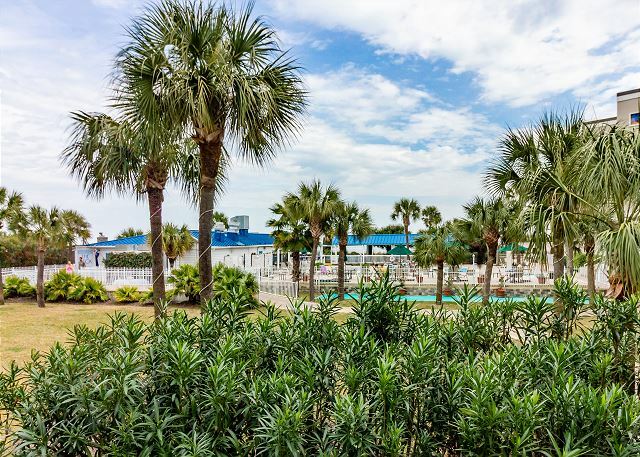 My husband and I have stayed at Beachside Colony several times in the past and we felt it encompassed everything with the 3 pools, onsight restaurant and direct access to the beach. However, for this particular stay one of the pools was out of order for repair, and the most disappointing part was that there was NO direct access to the beach due to beach construction. I was not informed of this when I made my reservation or at time of check in on Friday. We had to walk to another location close to a mile away to access the beach, carrying all of our beach belongings. So we ended up driving to the pier access, paying to park and spent the day at the beach. We never got to use the pool or onsight facilities at Beachside Colony. I was not called when the room was ready, so I called myself around 3:30pm and was told the air conditioner was out in our unit and currently being worked on. So this would delay the check in to the room further...we did get a call back within a few minutes to let me know that we could put our things in the room since they were working on the air unit on the roof at that time. The room was clean, restaurant was fair, but overall I was dissapointed in the stay. I understand construction happens, and it could take away from buisiness, but to not be told and pay the amount I did for one night was upsetting. I cannot say I would recommend this location to anyone unless the construction on the beach was complete and they were informed of any other changes onsight. The staff that assisted with my reservation were kind and professional, just wish I had been told of the restrictions. The condo was gorgeous and the island was beautiful. No problem vacation! That's what vacation is all about. Clean up-to-date room. We had a wonderful experience. The condo was clean and comfortable. We will definitely stay again. However, we did have an issue with the cable TV in the living area. We had no signal, so an employee came to fix it. All he did was take the cable box from the bedroom. Thus, we had no TV service in the bedroom. This was irritating. Other than that, it was a great stay. The location was excellent and our unit provided almost everything you needed. the place was clean when we arrived. They were upgrading the property and that become very annoying.Painters were there during our one month stay and we could not use our balcony. The restaurant hung a tarp on their outdoor pavilion for painting and it totally blocked our view of the sunrise and the ocean. Outside steps were under construction for more than a month which meant use the elevator which took much longer than walking the one flight of steps. We thought maybe we would be compensated for all these problems but they thought not. Hopefully next year will be a lot more uneventful. Other than that I liked the pet friendly place. This condo was great! I had everything we needed. It was up to date and very clean and the bed was very comfortable. The grounds at this resort are immaculate. We also enjoyed the restaurant on site, Marlin Monroe's. The food was delicious and it was very convenient!We enjoyed this condo/complex so much that we actually stayed an extra day. We hope we are able to book this condo next year! We were very satisfied with our rental property! Everything was clean, it was a very relaxing place to stay! Wonderful stay on Tybee. Beachside colony was very nice. Made the stay much more enjoyable. Condo nice and spacious. Plan on going back soon. Our Condo was very nice, clean, and updated. 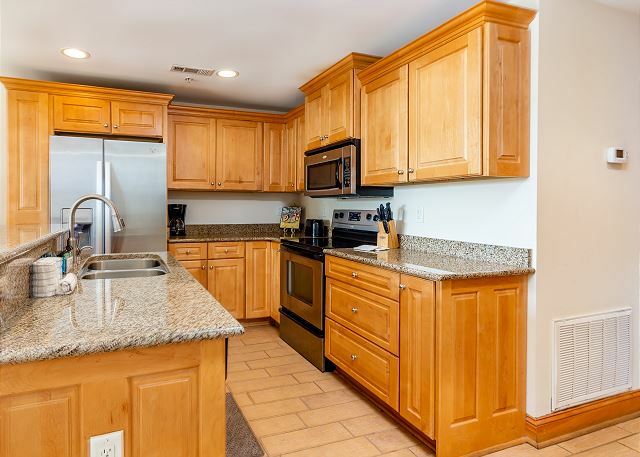 Condo very nice great location and I was able to bring my pet and that was awesome. I will be coming back next year. The property was very nice, rooms are very large and not cramping at all. Considering buying one ourselves. This unit has a beautiful view of pool area and beach beyond! Love the way it was decorated and the lack of crowds that are at the public beach access. Only one drawback: It is advertised to have sleeper sofa and it does not. Thankfully, we took extra bedding and got creative for the kids. Thanks Susan for taking the time to write a review. We are so glad that you and your family enjoyed your stay at Beachside. I am so sorry about the sleeper sofa. The owner recently updated their sofa to a sectional because their sleeper was worn out. I had thought that I had changed the bedding but missed it on one of the pages. We have stayed at Beachside Colony before and truely enjoyed it. #116 is in the perfect location. Not too far from the pool or the beach. The only thing I might suggest is updating the bedding in the master bedroom. We loved everything about the property!!! The only reason for less than 5 stars was the bathroom looked as though it had not been cleaned. There were dirty footprints still in the shower and bathtub both, that came off with me simply wiping them down... Other than that little issue, you add the wonderful staff + great location + the beautiful condo + price = wonderful vacation spot !!! Great trip. Good food at Marlin'. Nice pool area. We had a great time in Tybee and we loved the Tybee Beach Club. The location is great! We will definitely recommend it to friends and we will be back. This was the 2nd time we have stayed at this location. Units are always clean and very nice. Staff is always friendly and willing to help any way they can. We ate at the restaurant on the premises one night and it was delicious. Only thing I can say is I wish we could have had an ocean view unit. My stay at beachside was very pleasant experience,for my wife and I. My wife has expressed that she would like to return soon. Those persons charged with caring for the tenants is nothing short of outstanding from the front desk personnel to those you ask to proform a service. We will probably return again before the end of the year. It was an great experience. Beautiful resort. My unit needed a few finishing touches,e.g., cookware should be replaced,waste basket in bathroom,hooks on back of bathroom door and please, put hangers in the closet. On site restaurant was a great feature. People who do not clean up after their dog should be fined and/or evicted so they don't ruin it for those who do. Always enjoy staying at beachside Colony. Hoping to stay again soon!